I like an old steel race bike. This old Gios came in for some work, and the sticker on the down tube was in Dutch. We stood around wondering if the bike was from Belgium or the Netherlands. 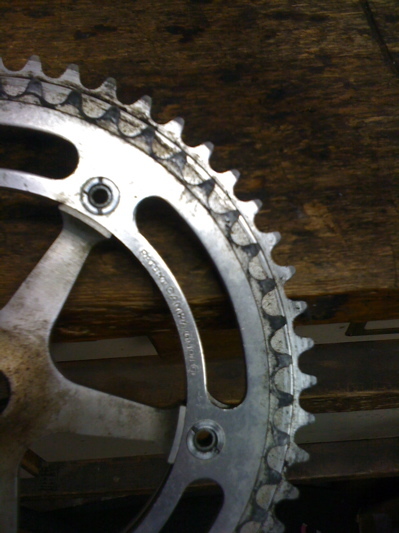 I took a look at the chainrings on the Nuovo Record cranks: a 53 tooth big ring backed up by a 48 tooth little. No doubt this bike was from the low lands…it’s gotta be Nederland.